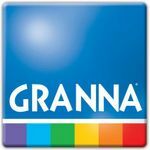 Granna was established in 1991 and since then has been successfully manufacturing board games for kids as well as adults. We provide a wide array of products and services to the Game Industry. Our manufacturing experience is broad, our product resume is deep and our relationships are rock solid. We try our best to make our games interesting and appealing by hiring the best authors, illustrators and graphic designers. We can turn your ideas into finished products since we can design, package, produce, and even arrange delivery. We do care about the quality of our product a lot that is why we fabricate durable boxes, and supply our games with beautiful dice and game pieces. Whether you need to improve your existing product, or need the development of new products we can take your idea to the next level, from concept to commercialization! Our Company works alongside with many children and parents magazines, radio and TV. We receive many prizes and rewards. Granna can manufacture games down to the finished pieces and have it ready for distribution. We do provide advertising services as well – we do create advertising games and supplies. We will print it, box it, shrink wrap it and deliver to your door ready for sale! Our games were published in Poland, Russia, Ukraine, Latvia, Lithuania, Estonia, Hungary, Romania, Turkey, Germany, South Korea, Japan, Germany, Austria, Netherlands, Denmark, Norway, Sweden, Australia and other.